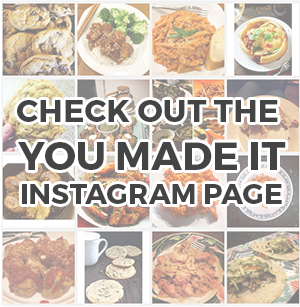 Sunday is Mother’s Day, and I’m celebrating (or rather, cooking for Momma Bear) early just to make sure you’ve got this recipe in time. I’ve heard that moms love breakfast in bed. Well, everyone loves breakfast in bed, don’t they? 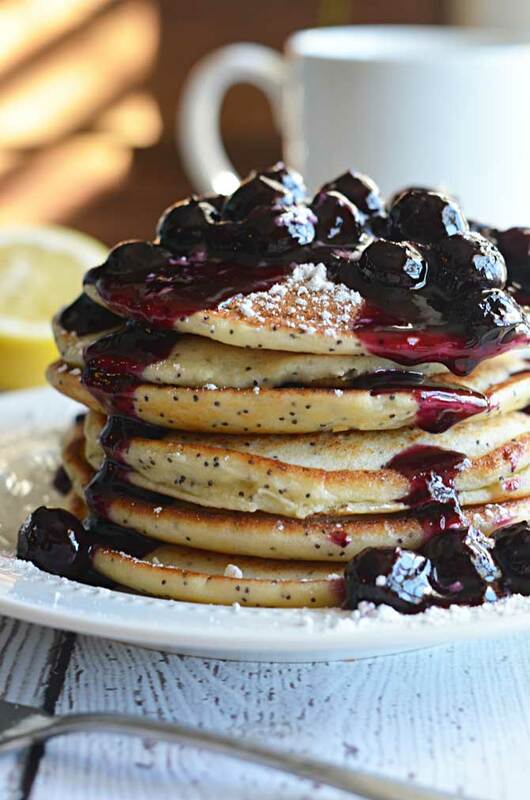 There’s nothing like showing someone how much you care by starting their day with a big, beautiful stack of ‘cakes. 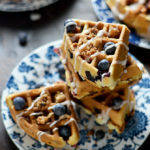 Especially if those ‘cakes happen to be particularly light from ricotta, and vibrantly flavored from lemon juice and fresh blueberry sauce. Oh, and if they’re studded with poppy seeds? We’re talking pure breakfast bliss. Now, I’ve never been one for fruity breakfasts. 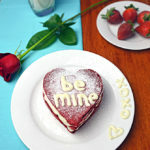 I prefer my first meal to be savory, and if it has to be sweet, you can be sure I’m going the chocolate route. 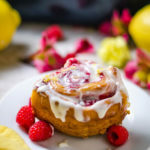 However, with all the fresh fruit that has finally hit the stands, I decided to step outside of my comfort zone and give a fruit-filled recipe a go. And wouldn’t you know it, I have been converted to a berries-for-breakfast lover. My mom, on the other hand, has always loved all things fruity, so this was the perfect treat for her. If you and/or your mom are not morning people, don’t worry– my mom and I enjoyed this meal for dinner and loved it all the same. 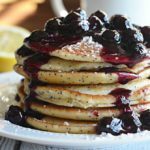 You can have Lemon Ricotta Poppy Seed Pancakes with Blueberry Sauce any time of day! 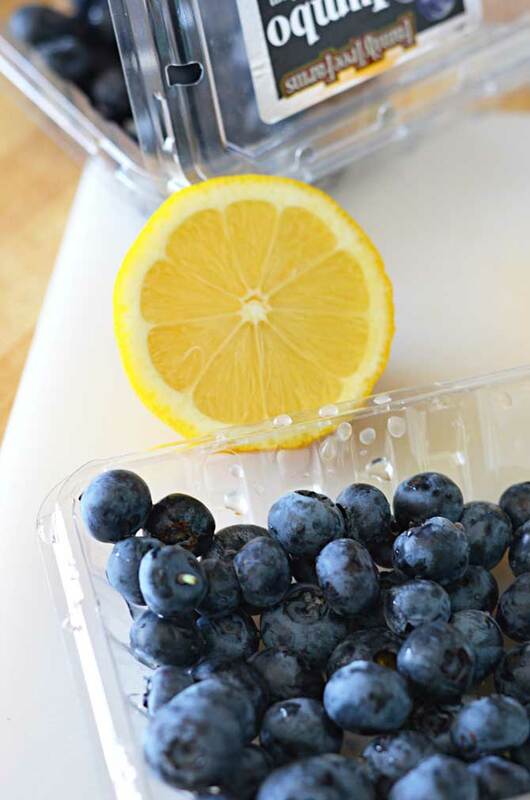 Mix together the lemon juice and cornstarch in a small bowl until well-combined and set aside. 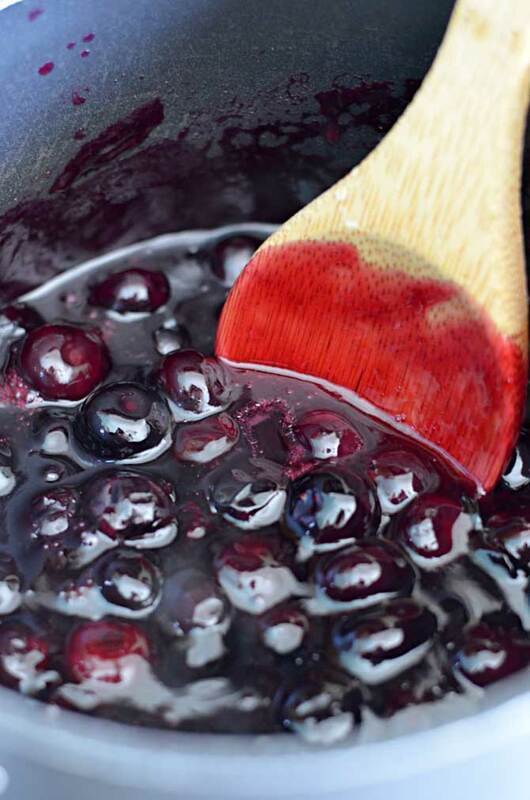 In a medium-sized saucepan, combine the bluberries, sugar, water, and salt over high heat. Bring to a boil for a minute, then reduce to a simmer and stir in the lemon juice mixture. Continue to simmer until reduced and thickened, about 5 minutes. 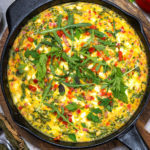 In a separate bowl, whisk together ricotta, egg, egg whites, lemon juice, and canola oil. Spray a nonstick skillet with cooking oil and heat over medium. Drop 1/3 cup of the batter onto the well-heated pan and cook until set on one side (about 3-4 minutes) and then flip to cook on the other side (about 2-3 more minutes). Respray the pan and reduce heat to medium-low to cook the remaining pancakes. 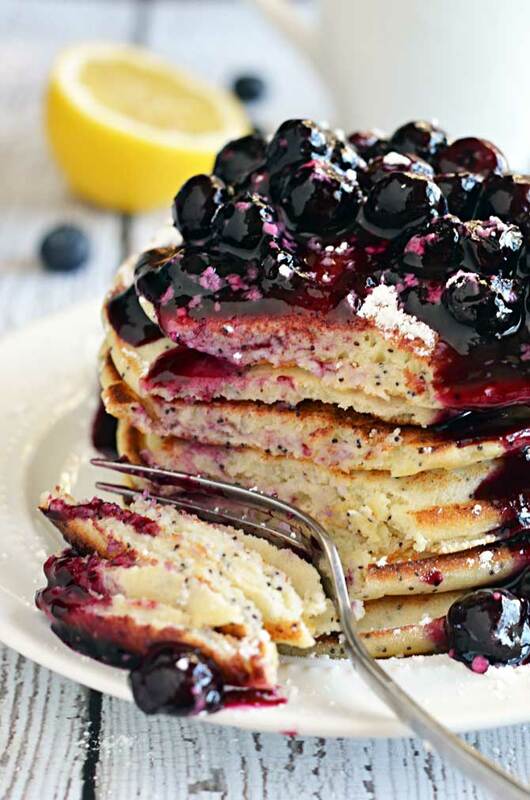 Serve the pancakes with the blueberry sauce on top.